EDINBURG — After graduating from high school in his hometown of Eldoret, Kenya, in 2014, Abraham Chirchir spent more than two years training in pursuit of his dreams. From early in his high school career, Chirchir aspired to run at an American university. But coming from a poor family, Chirchir faced doubt about whether he had the resources and ability to post a qualifying time. He watched his high school classmates progress through and graduate from Kenyan universities as he continued to hold out hope of competing in the United States. Fortunately for Chirchir, a cousin in Nairobi supported him financially, helping cover expenses like SAT fees. In 2016, Chirchir posted a mark strong enough to put him on the radar of UTRGV coach Darren Flowers. Now a freshman at UTRGV, Chirchir is reaching his ambitions. He earned WAC Freshman of the Year during both the indoor and outdoor track and field seasons and this week will be one of just two UTRGV athletes to compete in the NCAA Championships West Preliminary Round. He will race in the semifinals of the 10,000-meter run at 11 tonight on the campus of Sacramento State University. His performance at UTRGV has proven as much. 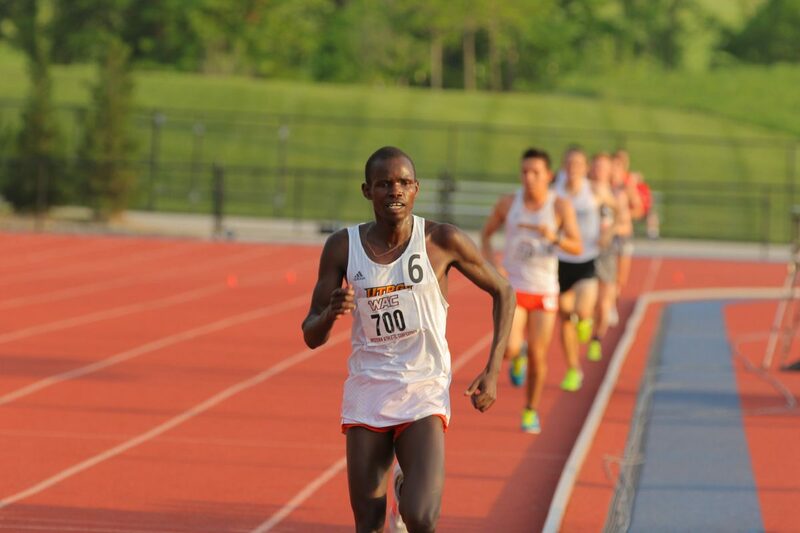 On May 12, Chirchir won the WAC Championship in the 5,000 run with a time of 14 minutes, 54.45 seconds. On May 10, he finished second in the 10,000 run with a 31:46.10. He punched his ticket to the NCAA regionals with his showing at the Raleigh Relays in March, running the 10,000 in 29:36.39 — the second-fastest time in program history. Though the results came quickly, Chirchir said he faced challenges in his transition to the United States. The culture in the Rio Grande Valley was very different from what he had grown used to in Kenya, and balancing training with class was a new source of struggle. Chirchir said Flowers comforted him with assurances that most international students face the same anxieties upon arriving to their new universities. Flowers said Chirchir’s chance to run against elite competition at the NCAA regionals will be a powerful learning experience. Only the top 12 of 48 competitors will advance to the finals next month in Eugene, Oregon, and Chirchir is seeded 46th. With aims of continuing his running career even beyond UTRGV, Chirchir said the regional opportunity and the accolades he’s amassed as a freshman all represent progress.